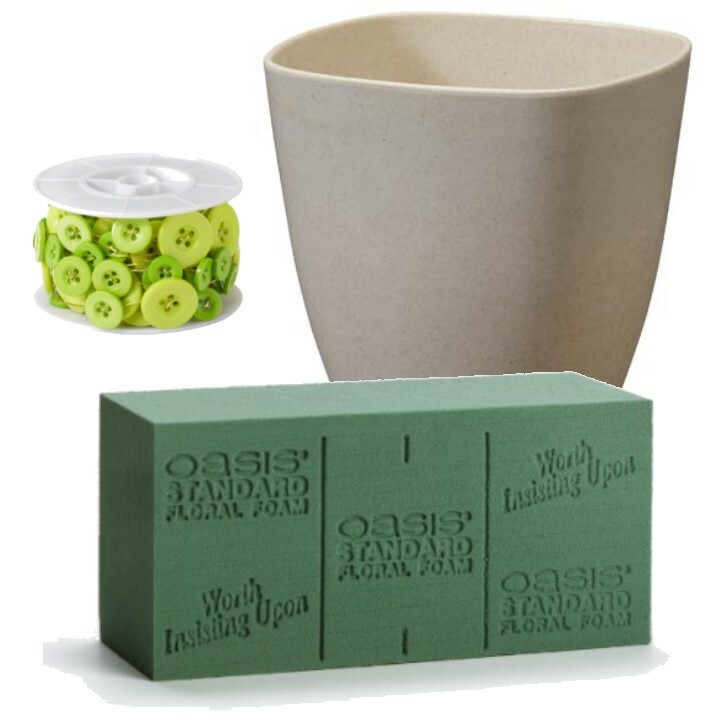 Each Kit contains (1) Brick of OASIS Standard Floral Foam, (1) Roll of OASIS Apple Green Button Wire, and (1) Natural ECOssentials 4.5-inch Cube. 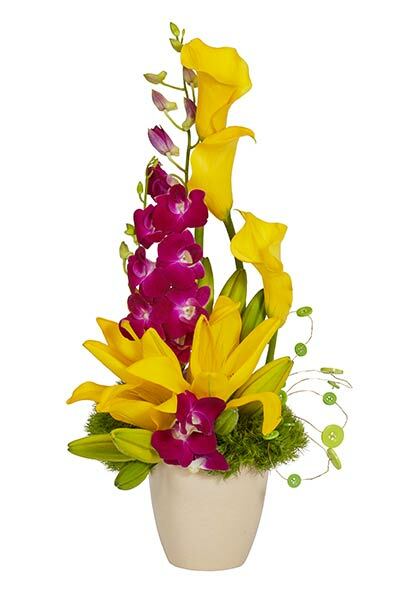 Simply provide the flowers and add water and you're ready to design. Allow the Foam Brick to soak in water for two minutes, set it in the ECOssentials container, and you are ready to arrange.